We’ve all heard the age-old adage that we should “pay it forward” – you know, the thing where you do something nice for someone else because someone was kind to you. If enough people make a practice of this, the ripple effect will be of resounding positivity. We’ll be a society of helpers. We’ll build community. We’ll build safety and belonging. I can’t think of a single reason not to buy in. And we can buy in again and again. In little ways, like opening the door for a stranger, bringing a hot meal to a bedridden friend, babysitting for your neighbor. But what if you challenge yourself to something bigger? Check out five powerful ways our supporters are paying it forward and how they’ve been inspired to LIVE UNITED. Sitting in a doctor’s office at the age of 18, Alicia McCoy was told she’d never be able to hold a steady job. By that point in her life, Alicia had already been experiencing chronic pain and fatigue, anxiety, and other trauma-related health conditions for several years. She was in and out of hospitals with self-inflicted injuries. Doctors piled on diagnoses and prescribed a combination of eight different medications. Being told she couldn’t work, she didn’t. Eventually, more than half a decade later, she took a chance at proving her previous doctors wrong. “I couldn’t really imagine what I could do with virtually no job experience and an unfinished college education on top of the limitations and health problems I was juggling,” said Alicia. “I eventually got a job on my own that I was not physically able to do. After a week, I quit with a bruised ego, but a lesson learned. Rachel set up an informational interview with another supported employment agency, Work Opportunities. After that, a job shadow. And a month later, an interview for a part-time job coach position. Alicia was hired by Work Opportunities and still works there today – more than eight years later. I’d say that’s long enough to count as holding a steady job. Not only has Alicia overcome her doctor’s sentence to a life without work, but she’s also gone completely med-free. Having a job and a sense of purpose has allowed her to achieve confidence and feel valued in our community. Best of all, through her work, she gets to pay that forward as a job coach for other people with disabilities. Alicia McCoy once relied on an employment specialist to help identify a career fit. Now, she pays it forward everyday as a job coach at Work Opportunities, a United Way partner agency. Fortunate to grow up with a strong role model in his life, Cezar Mesquita learned, from a young age, the power of kindness. It was later in life, when Cezar needed help himself, that he received yet another lesson in giving without any quid pro quo. Years after receiving his own college degree, Cezar now promotes access to education for others. He serves as the Director of Admissions for Western Washington University. But, that’s not all. Cezar actively serves on our board of directors. By contributing to our board, he’s able to pay forward the generosity others have shown him over the years. 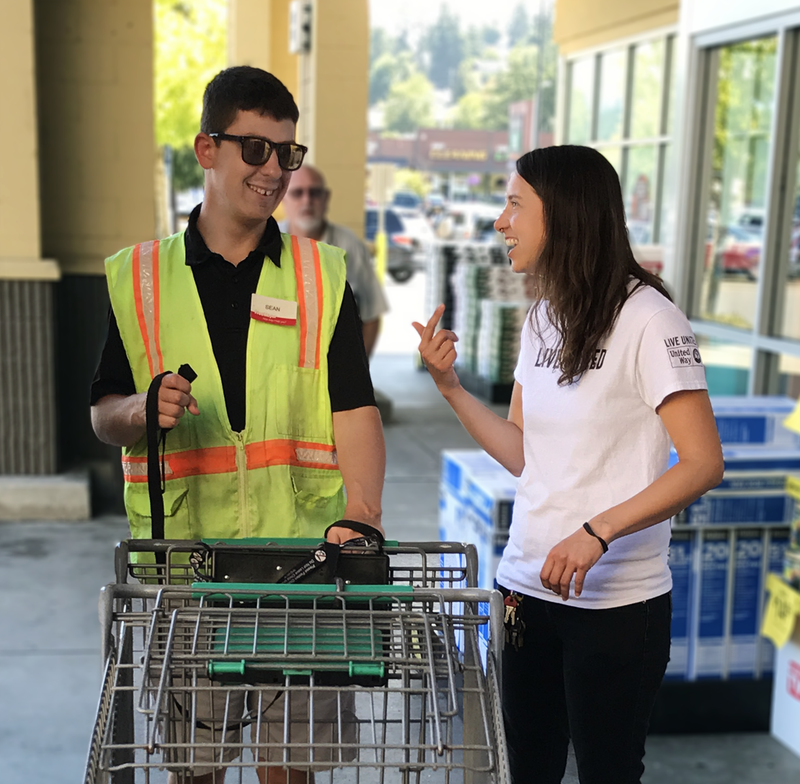 He’s able to ensure our community of human services providers are well supported by United Way and able to offer the services, both large and small, that help our Whatcom County neighbors through their own times of need. Carol Comeau spent 38 years as an educator in Alaska. She wore all sorts of hats – playground attendant, teacher, principal, and eventually superintendent. It would be fair if, after all those years of service, Carol chose to spend her retirement on herself, but she hasn’t. When I sat down to talk with her about her life and her career, I saw a woman who so clearly viewed her career as a gift, not a service. As Carol spoke, the surprise she must have felt that day while live on the air still showed. She meant well. She believed her schools were safe and that all students felt welcome. A teenager opened her eyes to a different reality. She explained how Tim did her such an incredible service. He opened her eyes. Because of Tim, Carol dedicated her life to advocating for others. Now that she’s retired and living in Whatcom County, she pays that service forward by volunteering for non-profits who serve vulnerable populations, including annual service on our Fund Distribution Committee. As a former school superintendent, Carol Comeau was humbled when a teenager schooled her on the realities of how vulnerable he felt each day walking to class. Since then, she’s dedicated her life to helping vulnerable populations. 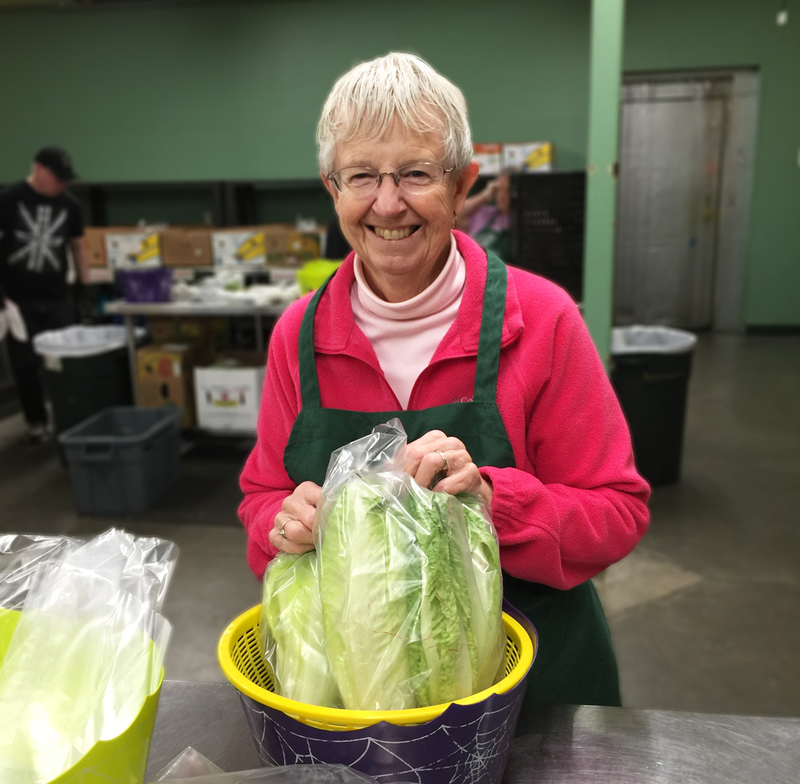 She volunteers each week at Bellingham Food Bank, a United Way partner agency. Staci Kennedy grew up in Whatcom County. When she entered the working world, she was fortunate enough to get hired at ARCO (now BP) Cherry Point Refinery. Shortly after starting there, Staci received information about the refinery’s employee giving campaign for our local United Way. Though Staci didn’t yet understand what it was like to rely on the services United Way helps fund, she knew giving a little bit from each paycheck was something she could afford, so she signed up to donate. It wasn’t until years later when Staci realized her donations were really an investment in her family’s future. She and her spouse could not have biological children, so they set foot on their journey to become parents through a less typical path: fostering with the intent to adopt. In 2014, Staci and her spouse met one particular child who needed them as much as they needed him. He was 13 months old at the time. “He had suffered significant physical abuse and neglect by his biological mother. He was developmentally behind his peers physically, cognitively, socially, and emotionally,” Staci told me. Staci knew that, to make this placement work, she’d need to face the realities of raising a child who had experienced trauma. She needed to ask for help. With guidance from their social worker, the Kennedys enrolled their son in the Birth-to-Three Program at Whatcom Center for Early Learning (WCEL) where they received intensive supports from speech and occupational therapists. Their son, now a kindergartener, has the supports he needs at home and at school to thrive. Feeling fortunate for this has inspired Staci to pay it forward as more than just a United Way donor, but as a fundraiser, too. She has served as a loaned executive and as a campaign coordinator for BP’s United Way employee giving campaign. Of course, if you’re looking for a quick, but impactful, way to pay it forward, you can always simply make a donation to a cause you believe in. It probably won’t surprise you to learn that Alicia, Cezar, Carol, and Staci are all donors too.